Is flatbed bed size important? At 24-inches by 18-inches, the bed of the GO F-24 UV flatbed printer offers one of the largest sizes of any professional flatbed printer under 24-inches. For the purposes of comparison, the image shows the full size of the F-24 vs. the Mimaki UJF-6042, the Roland LEF-20, the DCS 1024UV. As you will note, the F-24 offers 432 sq. inches, the UJF offers 396 sq. inches, the LEF-20 offers 260 sq. inches and the 1024UV offers 240 sq inches. We started off by asking, "is size important?" The answer is yes. Having a larger size means more products can be imaged at one time. 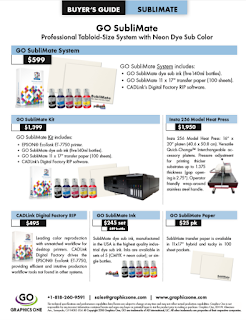 GO's F-24 small format UV printer is the clear leader with the size metric. For added information about the GO 24 UV, please go to: http://goo.gl/9nhELx.